Somewhere in the galaxy, millions suddenly perish–a disruption of the Force so shocking it is felt by Luke at his Jedi academy and by Leia on Coruscant. While Leia must deal with an assassination attempt, a rumored plot against the New Republic, and allegations that Han Solo is involved, Luke seeks out a former Jedi student who may hold the key to the mass destruction. But Brakiss is only the bait in a deadly trap set by a master of the dark side who is determined to rule as emperor. He’s targeted Luke, Leia, and Leia’s Jedi children to die. Then billions will follow, in a holocaust unequaled in galactic history. 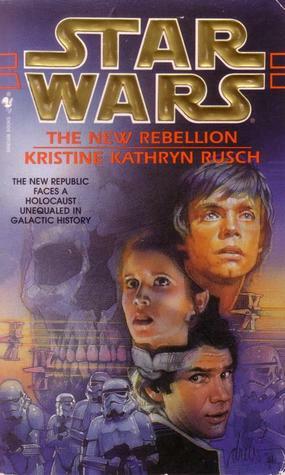 One of the better Star Wars books. Rusch brings her usual quality to the story with interesting characters and a good plot. There were a few points where things were not as clear as they could be, notably during one of the later space battles. Otherwise a good read.